For the similarly named airport in Ohio, see Butler County Regional Airport. Pittsburgh-Butler Regional Airport (IATA: BTP, ICAO: KBTP, FAA LID: BTP), also known as the Butler County Airport or K. W. Scholter Field, is a public airport 5 miles (8 km) southwest of the central business district of Butler, the county seat of Butler County, Pennsylvania, United States. The airport serves the northern suburbs of the Pittsburgh metropolitan area. It is owned by the Butler County Airport Authority. Pittsburgh-Butler Regional Airport, formerly Butler County Airport, opened as the Pittsburgh-Butler Airport on September 27 and 28, 1929, with much fanfare and aircraft demonstrations. It was later named the Butler-Graham Airport. For more than 20 years the Butler airfield was one of the primary airports servicing the city of Pittsburgh until Pittsburgh International Airport was completed in the early 1950s. During its early years, the airport served as an important training area for potential pilots. One notable trainee was Amelia Earhart who received her instrument flight certificate there while practicing for her solo flight over the Atlantic Ocean in 1932. It was also at the airport that Earhart had the long-range fuel tanks installed on her Lockheed Vega. Another notable aviator was C.G. Taylor, who in 1935 moved his Taylorcraft Aircraft company to Butler. His new planes were tested at the airport and his Taylorcraft B model was introduced here. During World War II the airport served as a training ground for fighter pilots. By the late 1990s, the airport was getting too small to handle the number of aircraft coming in so plans were made to extend the runway by 800 feet (240 m). The extension of the single runway was completed in 2004. The Airport went through a name change in May 2016, going from the Butler County Airport to the Pittsburgh-Butler Regional Airport. Pittsburgh-Butler Regional Airport covers an area of 230 acres (93 ha) and contains one asphalt paved runway designated 8/26 which measures 4,801 by 100 feet (1,463 by 30 m). For the 12-month period ending February 27, 2007, the airport had 62,685 aircraft operations, an average of 171 per day: 98% general aviation, 2% air taxi and <1% military. There are 132 aircraft based at this airport: 72% single-engine, 23% multi-engine, 3% jet and 2% helicopter. 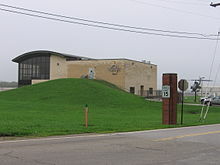 High Flight Academy, a flight training school with recreational and career pilot programs, is located at this airport. An Historical Gazetteer of Butler County, Pennsylvania, Chicora: Mechling Bookbindery, 2006, ISBN 978-0-9760563-9-3. Brandberg, Robert, and James Clements, Lost Butler, New Wilmington: New Horizons Publishing, 1999, ISBN 1-884687-25-3. Ed Biller, "Airport turns 80," Butler Eagle, December 6, 2009. Parisi, Larry D., Butler County, Arcadia Publishing, 2004, ISBN 0-7385-3517-6. This page was last edited on 27 November 2018, at 19:06 (UTC).